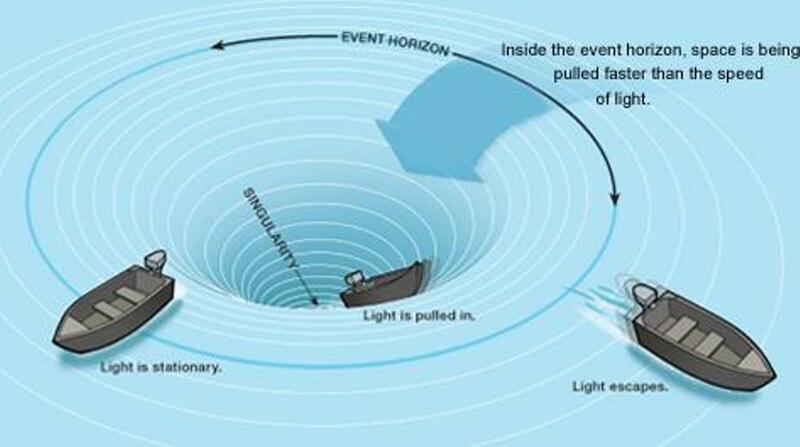 IS OUR UNIVERSE AT THE BOTTOM OF A BLACK HOLE? - Can you stand the truth? In an attempt to explore the manner in which the material universe was created, scientists founded CERN, in order to investigate this sequence of events through a chain of experiments. 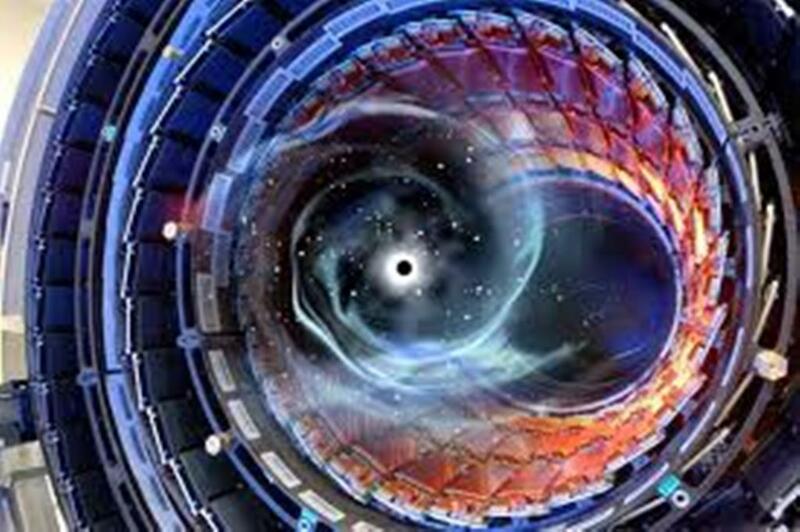 The collision of particles that takes place within the confines of the CERN Large Hadron Collider, is set to simulate the very primal conditions, under which our universe came into existence. This very procedure is said to bring about the creation of micro-vortices, and thus, mini black holes, presenting us with a key element. But what exactly is a black hole? And can our universe be compared to a black hole? 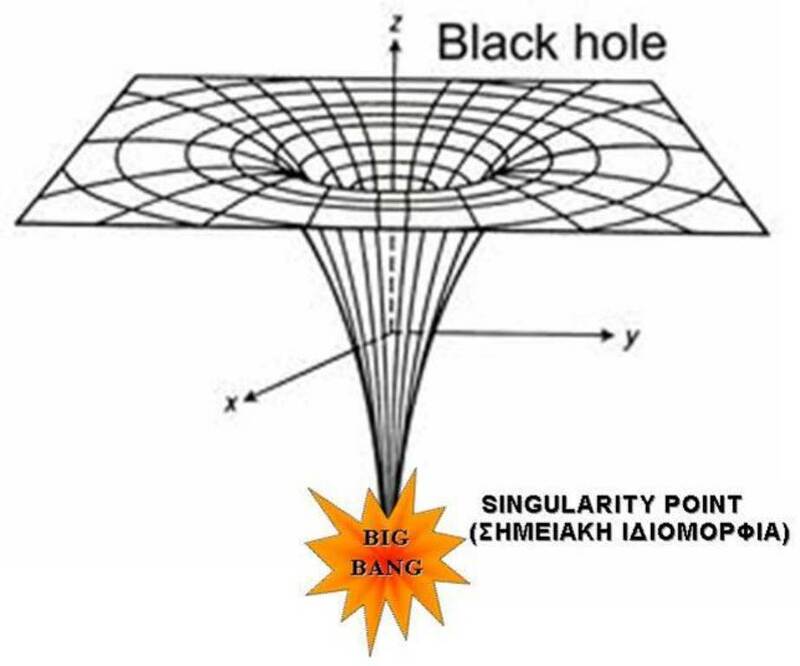 Ιf we take into consideration that the center of every galaxy behaves like a black hole, and that the center of our galaxy appears to be a black hole, then one may conclude – as everything in the cosmos is set on a fractal-like repetition pattern – that our universe itself may , in fact, be a black hole. 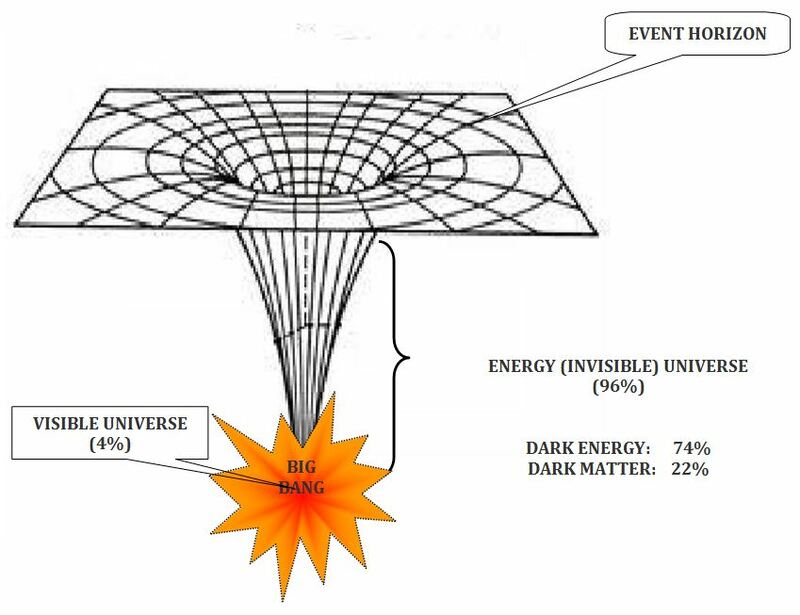 The papers of cosmologists S. Hawking and Penrose indicate that the Universe not only could, but should be the result of the Big Bang of a point singularity, (as the inner point of a black hole is called) a point of infinite temperature and density. Therefore, scientists consider our Universe to be a black hole, obviously of an entirely different extent than those presently being investigated. This automatically suggests the existence of a different world, within which this black-hole universe came to be. Approaching the matter from a philosophical standpoint, we must resort to the ancient scripts, if only to discern an identification of opinions. “He proclaimed himself God. And he did not obey the place from which he came. And he united with the powers which were with him. The above evidence is presenting us the image of two different realms. One Primary Cosmos (unknown to us), within which a ‘black hole’ is created and converted into a secondary universe …our Universe. This sequence is reminding us of another story. 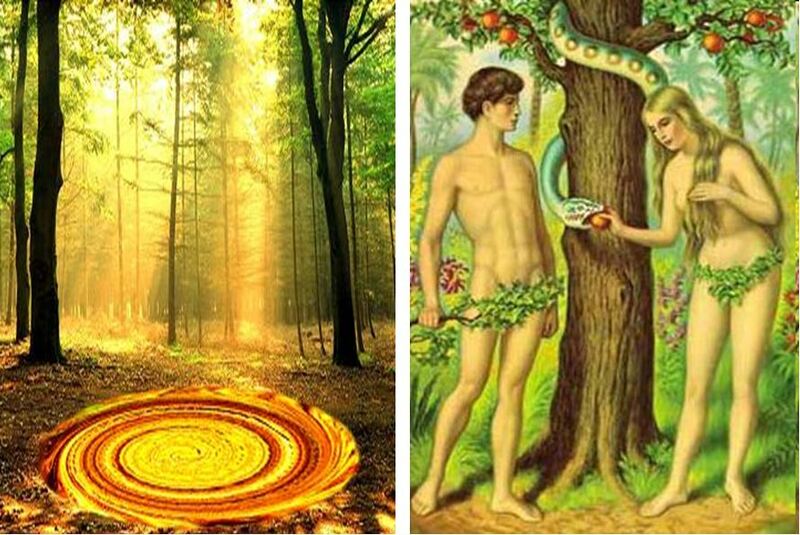 The Old Testament primordial myth of Adam and Eve, where we also come across two different worlds: Paradise and Adam and Eve’s place of exile. 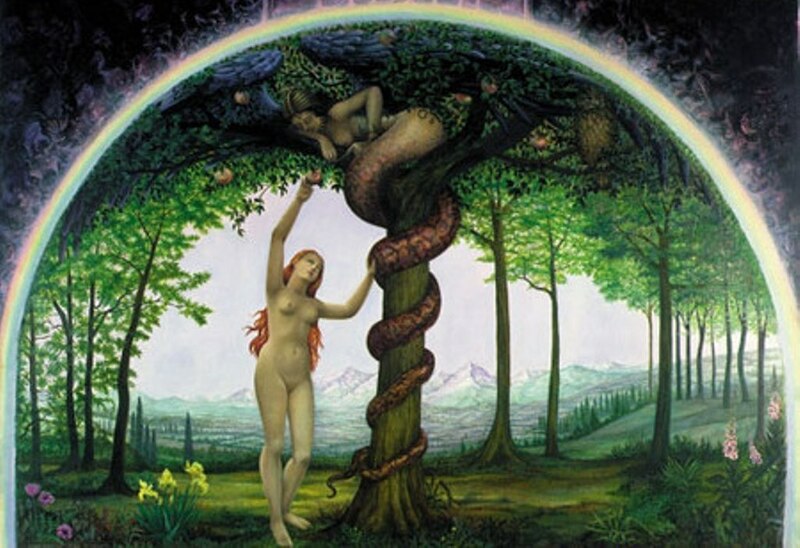 The original sin, committed by the protoplasts, was that they tasted the forbidden fruit, the infamous “Apple” from the Tree of Knowledge of Good and Evil. But what is this Tree of Knowledge of good and evil, and what is its connection to our world? 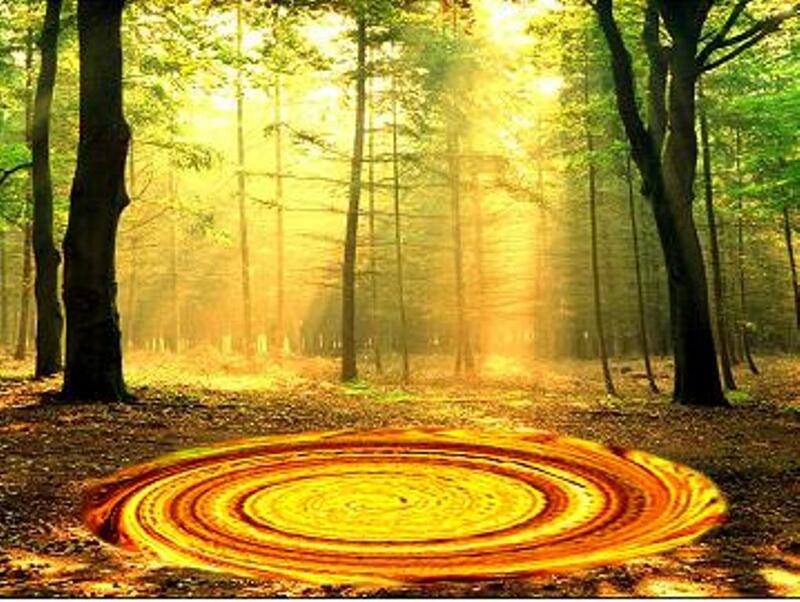 Could this forbidden tree be this second black-hole/Universe that was created within that primary realm? Good and evil, joy and sadness, light and darkness, day and night, beauty and ugliness, sleep and awakening, life and death and so on. Everything carries within it its opposite, and eventually transforms/mutates to it. Inhalation bears exhalation, exactly as exhalation bears inhalation. The day carries the night as the night carries the day… Life contains Death as Death contains Life.Our world in its entirety is a constant alternation, a shift between opposites. That is duality (dyadicism). The main characteristic of the world we live in. A schematic depiction of this duality would be a wave oscillation. This oscillation is symbolized by the wavy movement of the serpent that embraced the forbidden Tree of Knowledge of Good and Evil, the tree of duality in the primordial myth. Everything within this universe of dyadicism/duality oscillates: from light and the atomic neutrinos, to the human emotions. 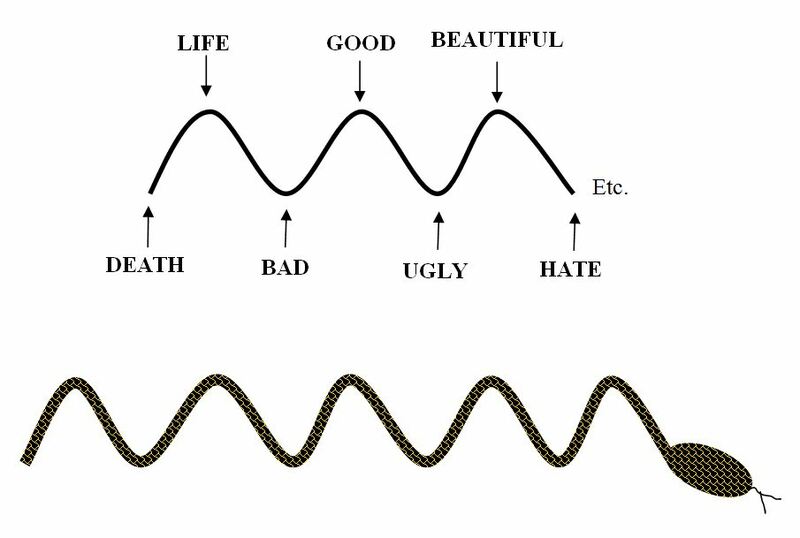 The very same oscillation that initially upgrades a situation, an individual or even an entire civilization is the same that will eventually bring them down. One can discern duality, throughout the human experience: First comes Birth, growth and peak that are followed by the decline of aging and eventually, death. None of the opposite poles of this oscillation can overpower the other, as neither one of them can exist separate and independent from the other. The very nature of oscillation embeds both opposite aspects and shifts things from one to the other and vice versa. 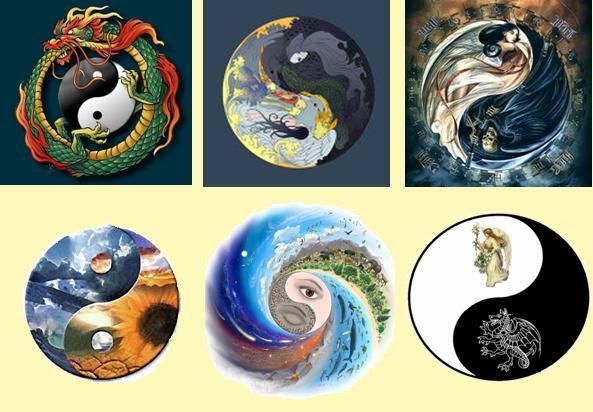 This sequence is symbolized by the snake embracing the forbidden tree of duality. That is the Truth that, like a magical image, lies hidden in plain sight, right before our eyes and in everything that surrounds us. Let us attempt to create a metaphor with images from the event of material creation. In the Real World (the HyperUniverses of the True Light as I call them in the book), there is a black hole: The forbidden Tree. This forbidden Tree/black hole –as is implied in the evidence given to us by the ancient scriptures of numerous religions– consists of remnants of previous Creations that have faded out. 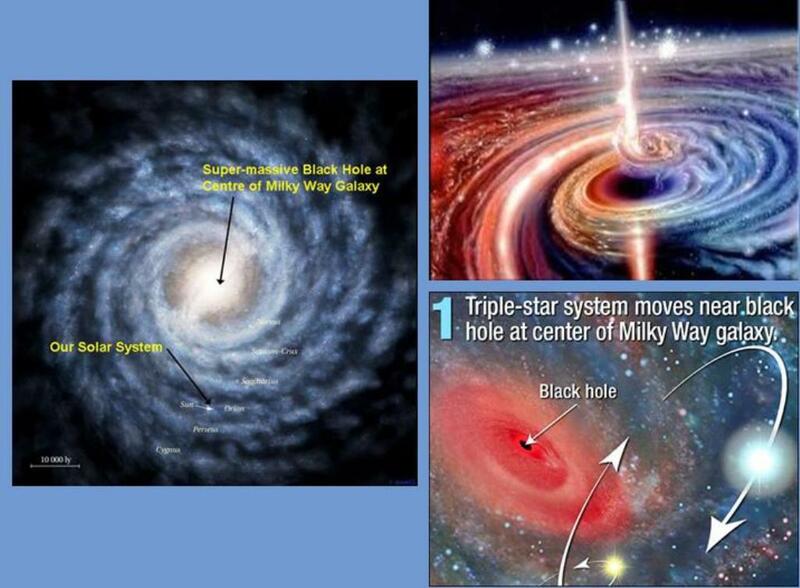 This black hole/universe, beyond its ‘event horizon’ (namely the space boundaries, beyond which nothing can escape due to the gravitational attraction), forms an energy spiral vortex (=the invisible 96% of our material universe). This leads into the inner, most dense point (=point singularity), which, in this situation, is the visible 4%, where space-time distortions take place. Simultaneously to the illusion of time, another illusion is created, this time related to space, “Maya” as the Eastern teachings call it. Pribram’s theory is based upon the research of physicist David Böhm (1917-1992), professor at the University of London and Einstein’s colleague. 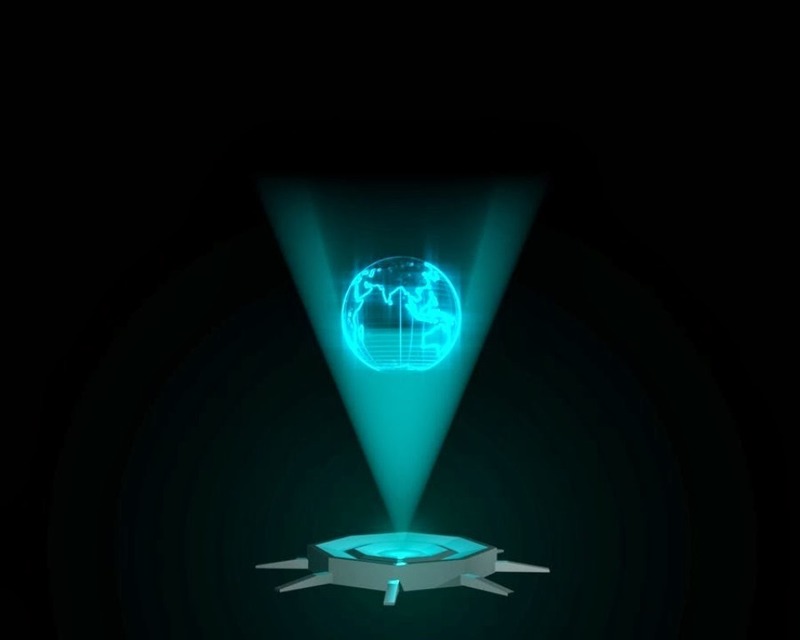 Just as light allows us to depict a three-dimensional image –a hologram– on a flat film, similarly, our supposedly three-dimensional, visible universe is considered to be ‘designed’ on an enormous surface, like a gigantic hologram. In reality, the brain functions as a hologram and decodes a holographic universe. It records the stimuli it receives as waves of information and transforms them into three-dimensional motion pictures, which we humans interpret as the conscious perception of our world, our ‘reality’. This process confirms the “Maya” illusory state. In physics terms, we receive electromagnetic waves of various frequencies but perceive those stimuli as colors. We receive pressure waves but perceive them as words. We collect chemical compounds from the air and the water, but sense odors and flavors. All those colors, sounds, odors, flavors don’t really exist by themselves. They are created mentally in the brain, through sensory elaboration/processing. “Man doesn’t perceive ‘everything’ that exists out in space but ‘what he believes’ must be there. …We shouldn’t be surprised of this, as, in reality there is neither light nor color out there. There are only electromagnetic waves (i.e. oscillation). What if our entire universe –that exists within the inner point of a black hole– is actually the Forbidden Tree of Knowledge of Good and Evil, a “Maya” illusion in which man was trapped? And if that is the case, then how did we get here, and how do we escape, returning back to our True HomeLand? A logical assumption would be that the primary element for any corrective change to occur is the acknowledgement of the problem. Therefore, one should first realize what their place in the material world actually is, by fearlessly inspecting the point one has come to as a material being, in order to proceed into correcting this predicament. All these topics are thoroughly examined in my book, as well as the solution to the problem. The conclusions arise through logical process, combining analysis of evidence from religions, philosophical scripts, scientific thesis and mythological riddles, as the Truth lies scattered everywhere and is not monopolized by any isolated viewpoint. The image of the Truth can be exemplified by the color White that emerges when all seven colors of the spectrum are combined. The Newton disc, when halted, depicts the seven different colors, or in our case, the people’s different standpoints and opinions. People, just like in Plato’s cave, with fixed personal points of view, choose an isolated ‘chromatic’ standpoint as their outlook/truth, and come to disagreement with other groups of individuals, equally fixed, who have chosen a different ‘color’/fragment of the Truth as their own opinion. For the White color to emerge, one has to embrace all ‘chromatic’ viewpoints, in order to merge them into ONE, as every isolated viewpoint contains only a certain PERCENTAGE of the Truth. When the colors/viewpoints are combined as the Newton disc spins, they cease to present their uniqueness and the White color emerges, that we identify with the Truth. So far, man’s most predominant aspects, ideas, beliefs, hopes and doctrines about his place in the world are, not only being refuted in the book, but also replaced with a more logical, more consistent and widely functional cosmo-theoretical proposition (worldview/Weltanschauung). If an argument is to be refuted, it must be replaced by an even more complete one. Through my book, every viewpoint, from the most extreme to the most conventional, is placed as a digit within a wide mosaic/puzzle. Once this mosaic is finished, the individual digits disappear and the complete image of our world emerges.